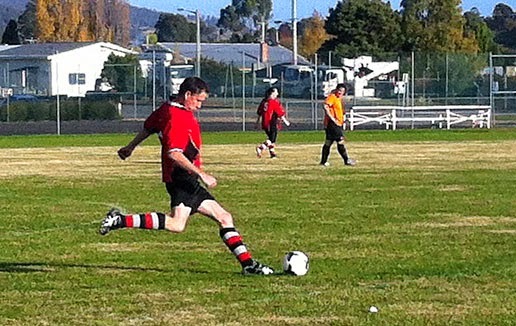 NEW Norfolk's Division 4 senior soccer side had a tough day away at Huonville on Sunday. The final score of 10 goals to two reflected the gulf in class between the sides but New Norfolk to its credit continued to play skillful football right to the final whistle and never gave in. Goal scorers for New Norfolk were Brodie Gleeson with an opportunistic rebound in the 6m box and Ollie Chaplin with a rocket-like strike from 20m in the second half. The next match is a home game versus Clarence at 2.30pm at Tynwald Park this Sunday, May 18. Get along and support the team! 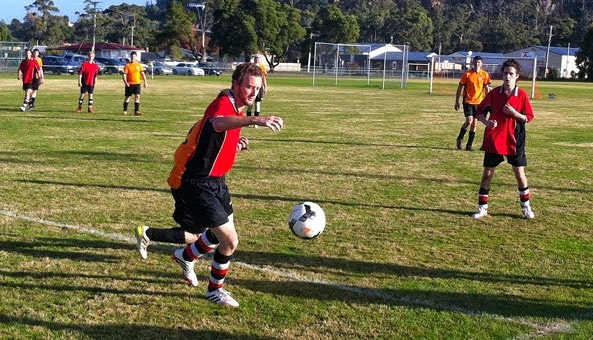 match against Huon Valley at Huonville on Sunday. 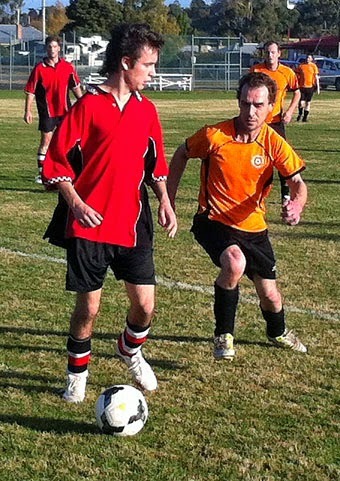 David Browning kicks the ball forward for New Norfolk.